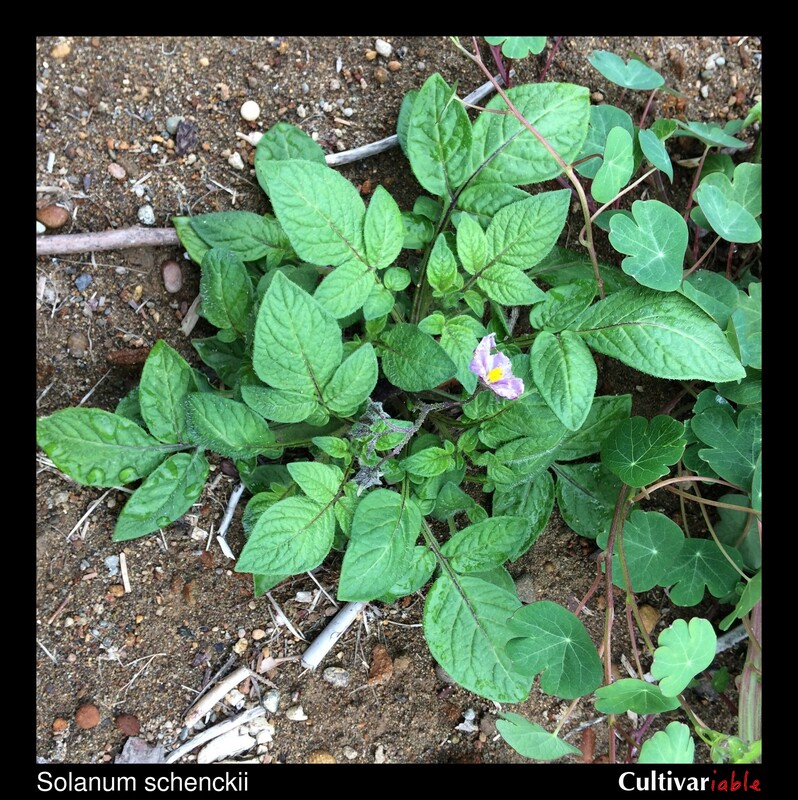 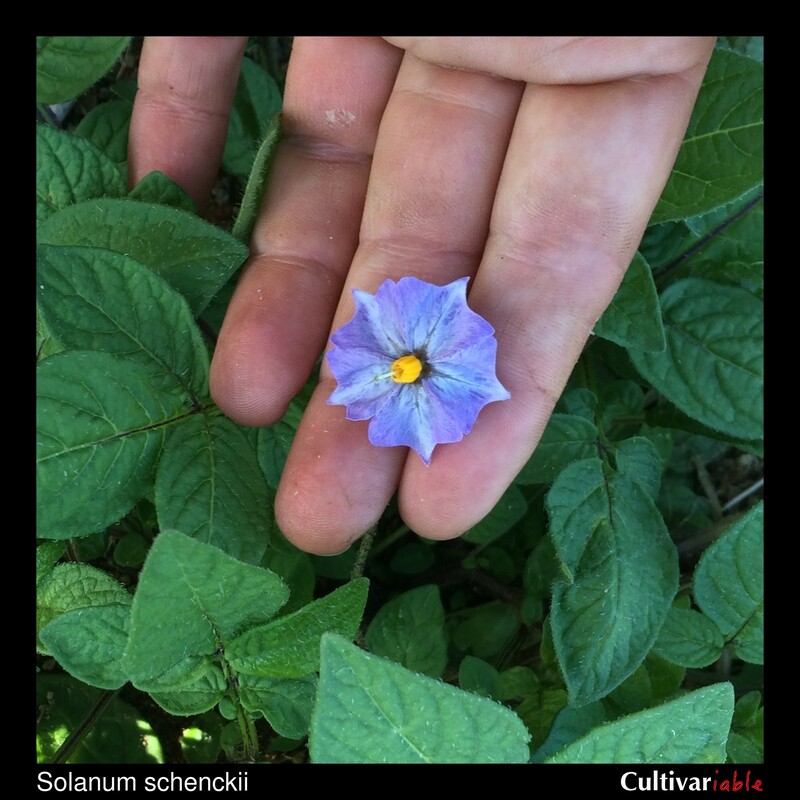 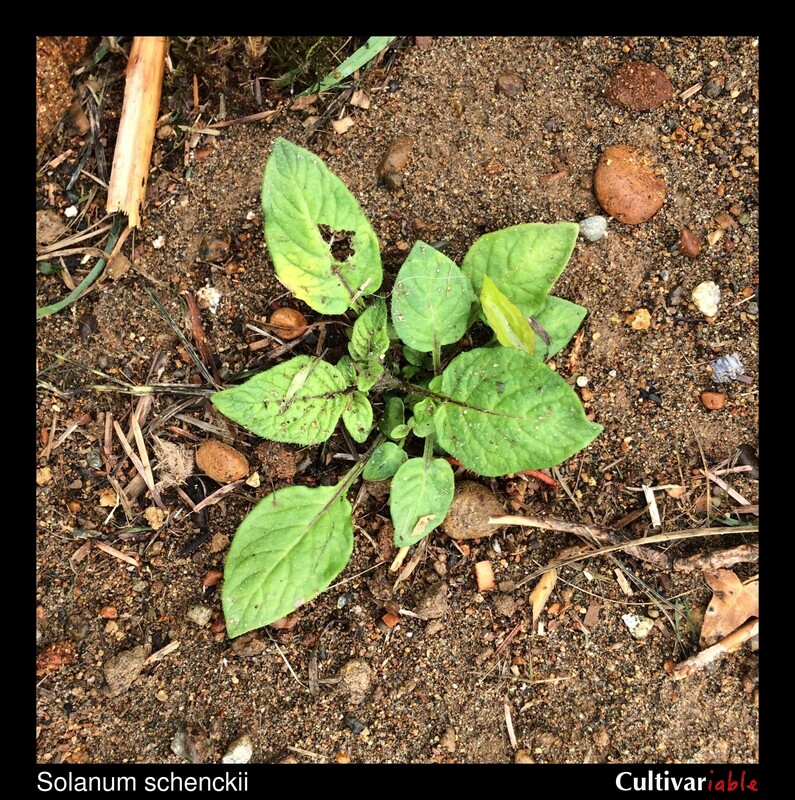 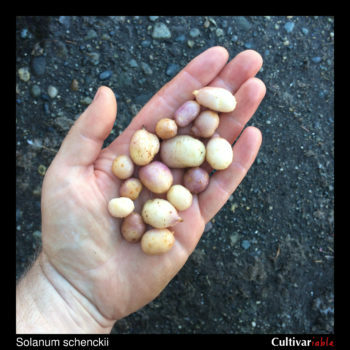 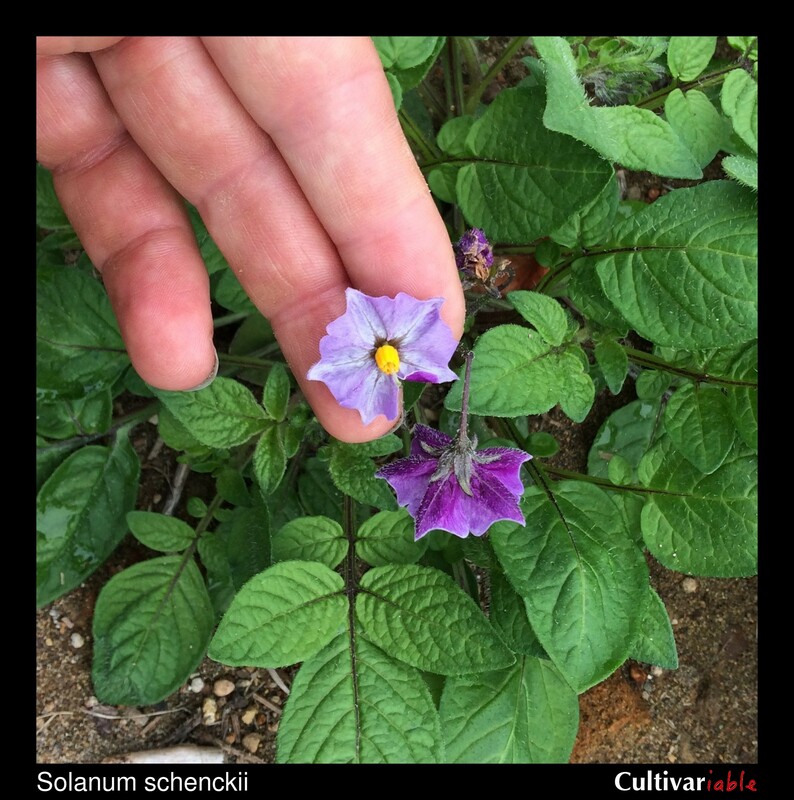 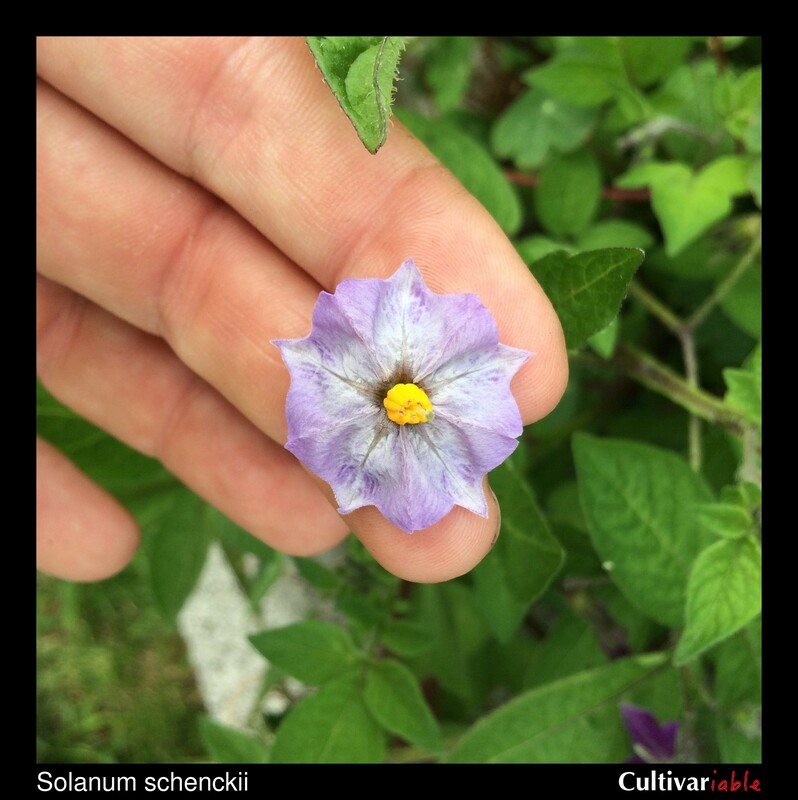 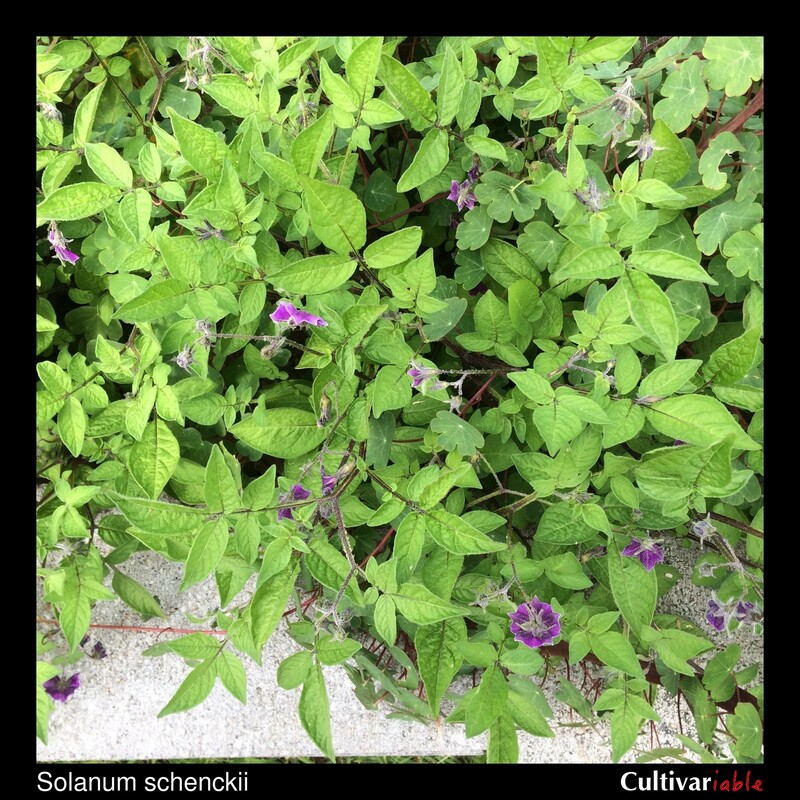 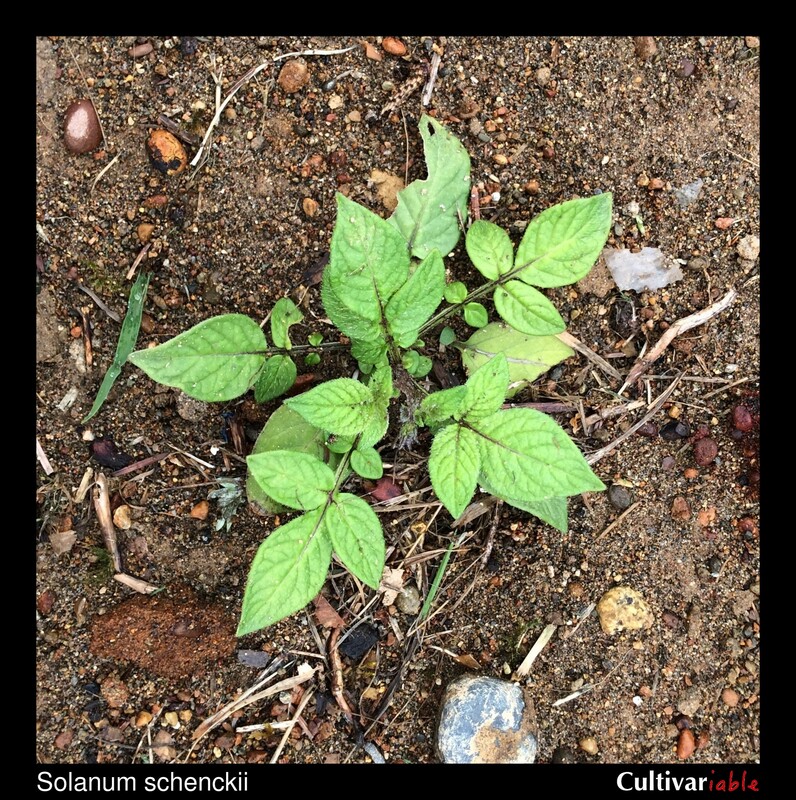 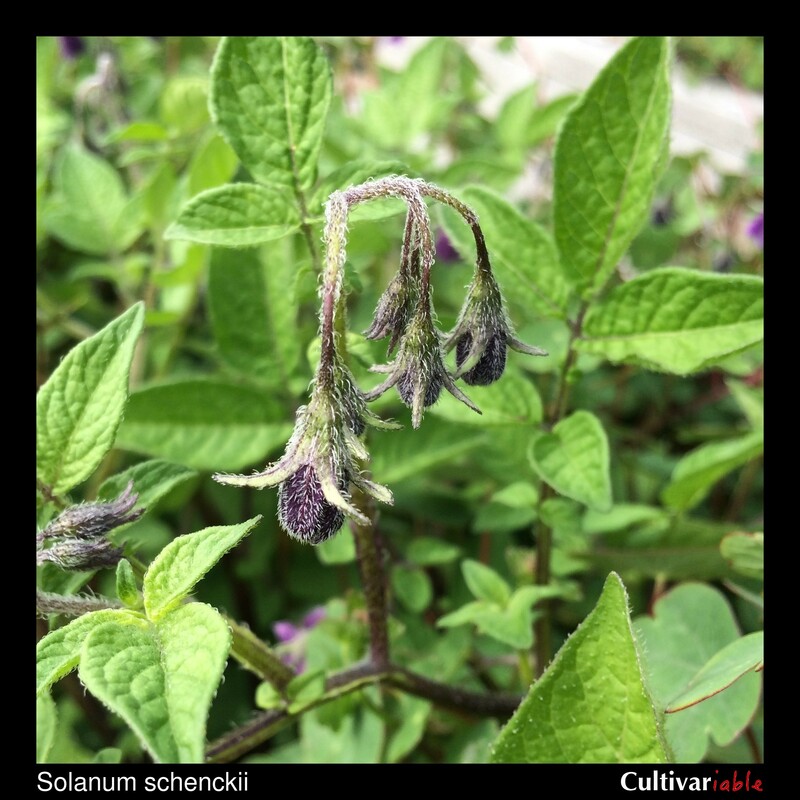 Solanum schenckii (schenckii in honor of Heinrich Schenck, who first collected the species) is a woodland species from central Mexico. 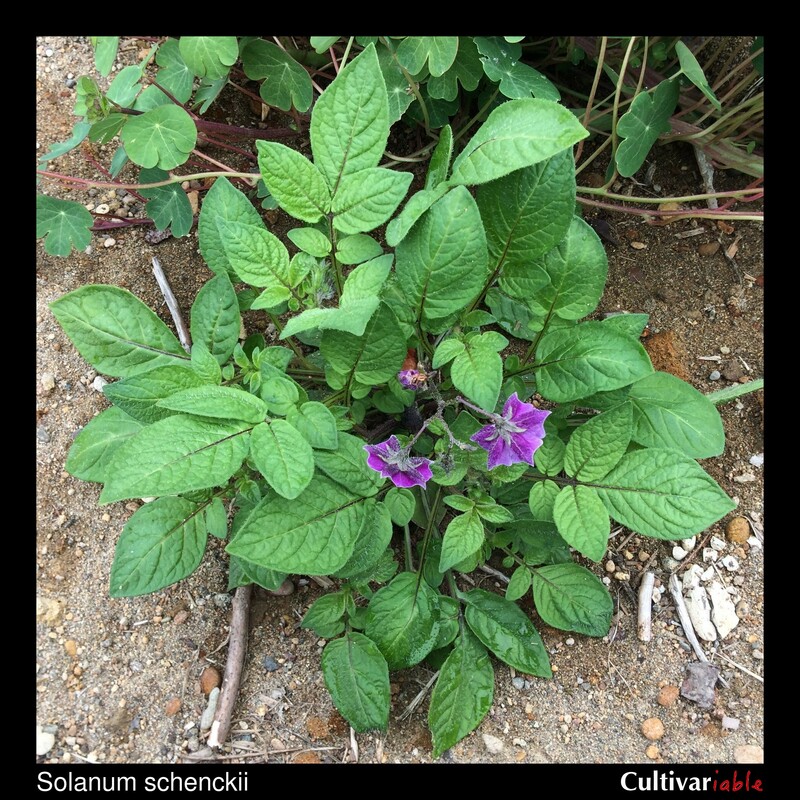 Plants roughly 12 to 18 inches tall. 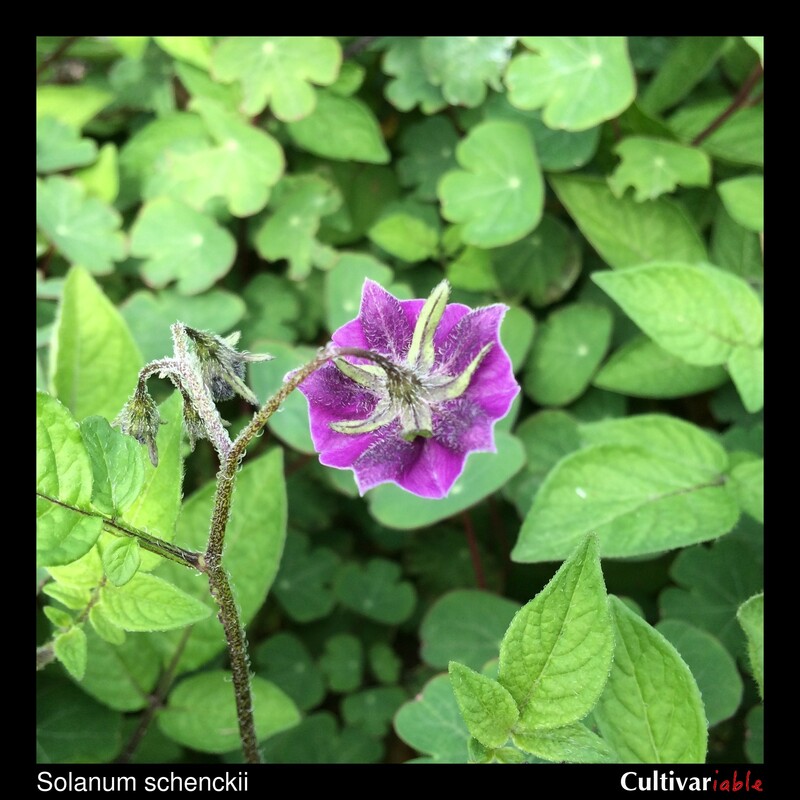 Flowers violet to purple. Berries long and ovoid, green with white or lighter green spots. 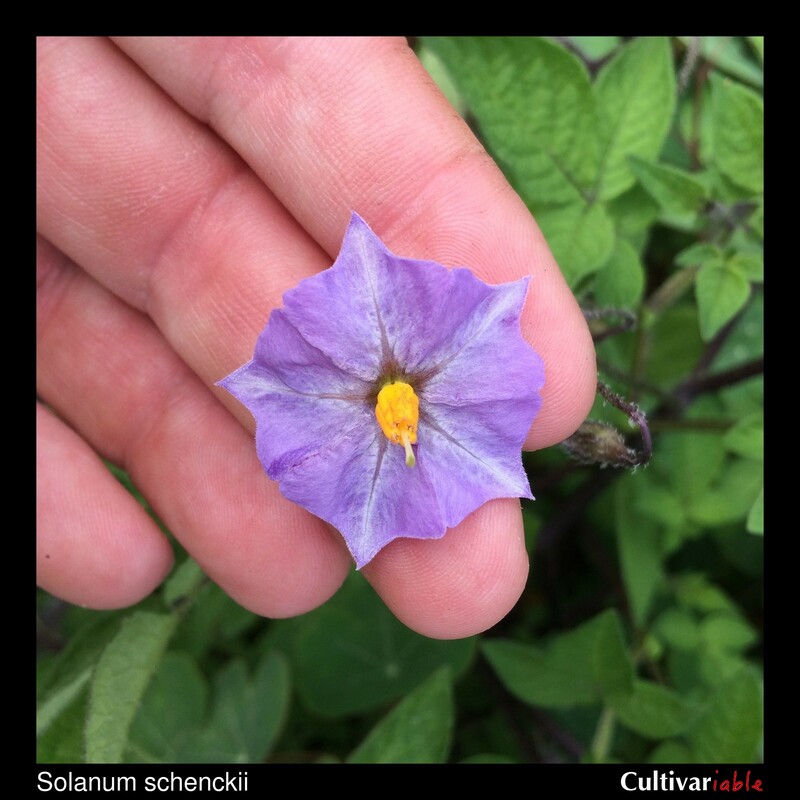 Vega (1995) found that this species is more frost tolerant than domesticated potato. 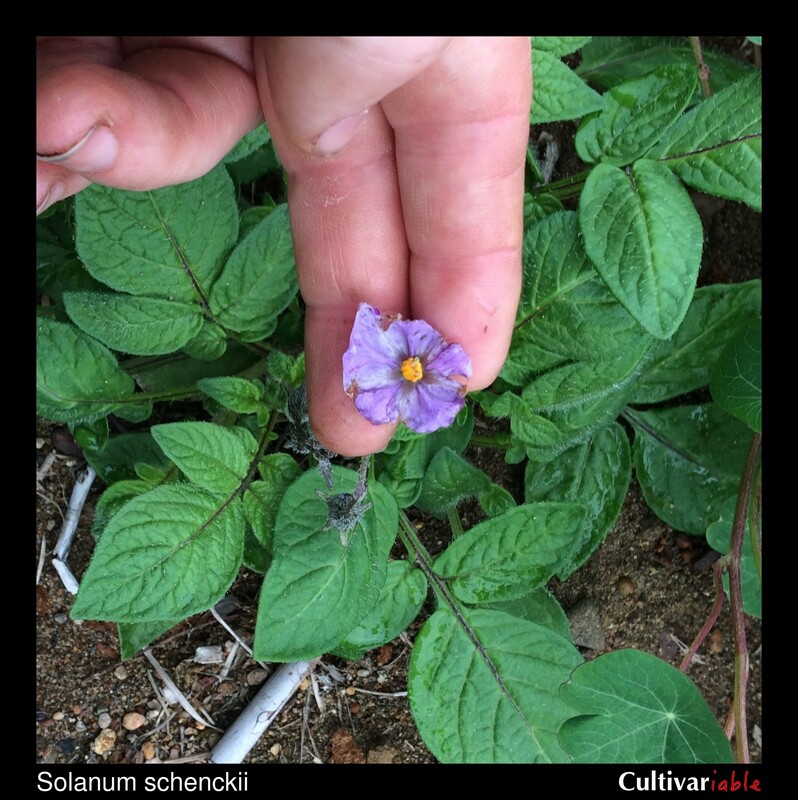 Jackson (1999) found 4-5% 2n pollen in varieties of this species.